Jack concentrates his practice in three primary areas: small business law, complex litigation and municipality law. Additionally, he has significant experience in strategic business planning and consulting as well as dispute resolutions. As a complex litigator and trial attorney, having tried dozens of cases to a jury in Ohio and Kentucky, Jack has experience litigating matters on behalf of businesses, banks and individuals. He has been lead attorney in numerous matters and covering a wide variety of issues including, multi-jurisdictional commercial disputes; contract disputes; construction litigation; shareholder, member and partner disputes; breach of fiduciary duty, fraud and other business torts; residential, HUD, and commercial lease litigation; real estate litigation and title disputes; major felony criminal defense; estate litigation including will contests; fire and theft losses, and; environmental and toxic torts. As a small business attorney, Jack serves as general counsel to many small and mid-sized corporations and has extensive experience counseling owners, executives, and officers in all areas of their business, including corporate formation, mergers and acquisitions, dissolution, succession planning, contract formation, government regulation, employment decisions, and property ownership and management. Jack currently serves as an Assistant City Solicitor for the City of Covington, the Erlanger City Attorney, Dry Ridge City Attorney, Independence City Attorney and served as the Grant County, Kentucky County Attorney and attorney for the Grant County Fiscal Court from 2003-2009. He has also routinely represented municipalities throughout Kentucky and Ohio on planning and zoning and litigation issues. Jack has received numerous accolades and achievements including being an Ohio and Kentucky Rising Star. 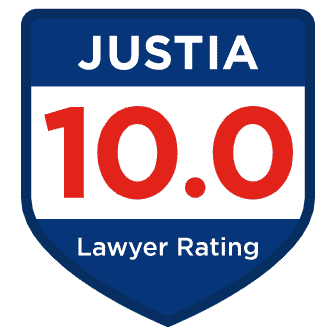 He also has received the highest rating of AV from Martindale Hubbell as well as a 10.0 rating from AVVO. Jack is a former Managing Partner of a regional law firm and has formerly served as the Northern Kentucky Bar Association President. He has been dedicated to the community over his entire career, having served as a board member on the Grant County Tourism Commission; Dry Ridge Soup Kitchen, and; Grant County Chamber Vision 2020. Further, he has served as Chairman of the Grant County Joint Industrial Development Authority and Chairman of the Cincinnati Real Estate Cooperative. Jack grew up in Louisville Kentucky and was in undergraduate and law school at the University of Kentucky. At the University of Kentucky, Jack met his wife and law partner April Gatlin. April and Jack have four children in the Boone County schools and they reside in Union. Jack spends significant free time coaching basketball and football and enjoys spending time with his kids and attending UK sporting events. How Can Jack Help You Today?